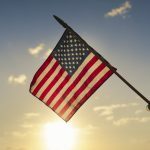 I thought I’d bring back this post just in the nick of time for memorial day! I mean who doesn’t love a burger grilled on the BBQ for a glorious memorial day backyard party, right? Of course, I make my burgers Cuisinicity style: you know by now that I don’t eat red meat at all. I don’t, for health and ethical reasons but also for the well-being of our planet. The environmental impact of meat-centric diets is just unsustainable and untenable with over 7 billions of us! You can read more about why it is so here. My husband has also written extensively on this topic. Still, I am a foodie and I longed for that good-old American burger taste! So, it wasn’t long before I tried to recreate that sink-your-teeth-into-a-juicy-tasty burger with something other than red meat: A nouveau American burger to adapt to the demands of our time. At first, and this was about 20 years ago, I replaced it with plain ground turkey, but you know how dry and crumbly that can be: it just wouldn’t do! 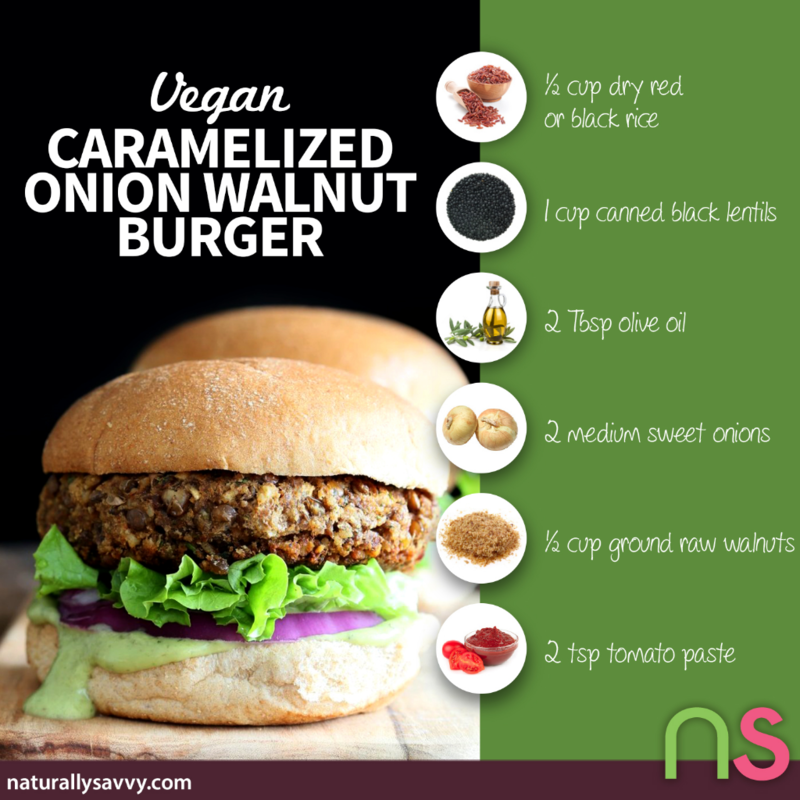 This was one of those obvious healthy makeover masquerading as a hamburger, so that didn’t pass the test! So, in my typical Foodie/neuroscientist (now called Cuisinicity) stubborn way, I kept looking for ways to recreate the perfect beef-less burger that would satisfy my new-found American standards: moist, chewy, dense and satisfying! …and, sure enough I came up with 2 absolutely luscious versions, with the help of a “clandestine” ingredient filled with protein and fiber to boot! (I wrote about it way back when, on this post.) But shhhhh….you don’t need to tell anyone! 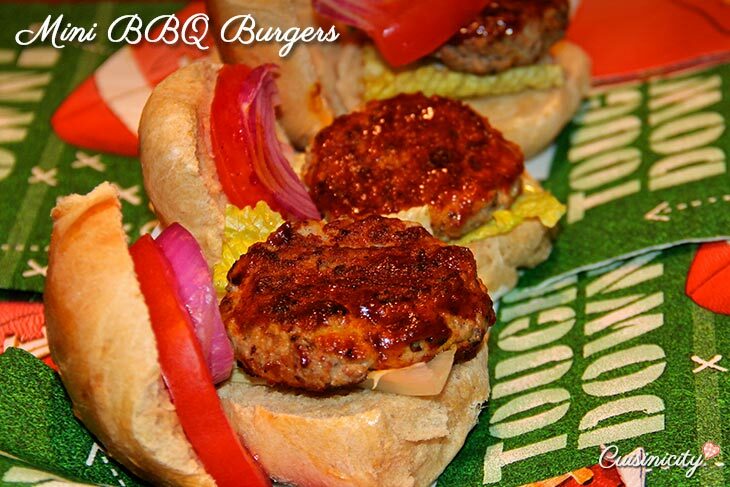 All they’ll know is that these are darn good juicy burgers!! So this week, I present to you my ode to the burger, Cuisinicity-style! I’d like to start off with my latest ones because they are true to my own evolution in my growing concern about the planet: they are vegan, and I created 3 varieties that I just love! …and, honestly, I never thought I could achieve it but I did it! DON’T THESE LOOK SO AMAZINGLY “MEATY”?!! …and I am so proud and honored to have it featured on Naturally Savvy this week! Take a look at the beautiful infographic they made for my recipe…WOW, pure and simple! 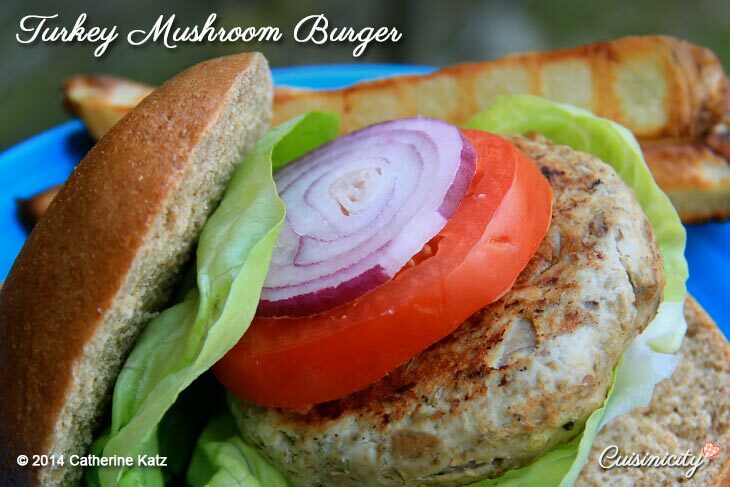 As for my good old Turkey burgers, I “displaced” some of the ground turkey with pureed lentils and even mushrooms for a purely moist delicious texture! …A good ol’ American fare that you will love, that will love you back and that will help sustain our planet: I call it the Nouveau American Burger….and proud of it! « Australia: It’s a Wrap! 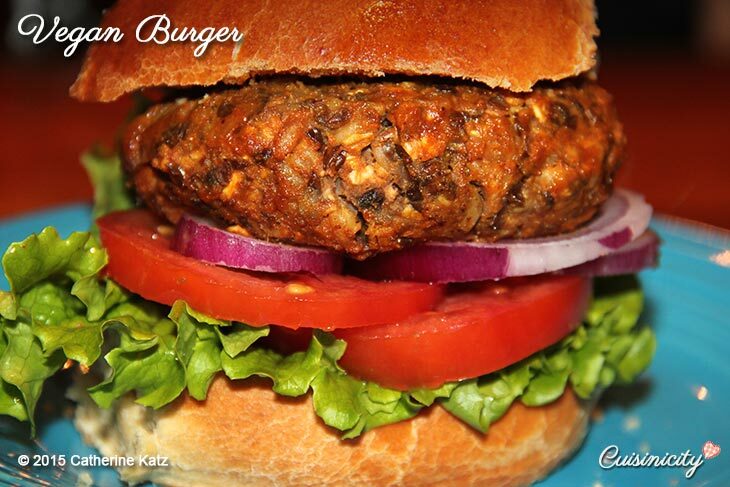 Watch out Beyond Burger… THERE’S A NEW VEGAN BURGER SHERIFF IN TOWN!!! Mouth wateringly DELISH! Just made the vegan burger with the BBQ sauce for the first time and it was absolutely delicious! The best homemade veggie I’ve ever made. I am looking forward to trying the other burger recipes next! I have made this several times. The sauce is really incredible too and I’ve used it on other dishes. I love this better than any burger though it is a bit time-consuming and leads to lots of dish washing. Best ever combo of sandwich and sauce. I will be making these once a month at least. WOW! I just made this vegan burger and then shared with my neighbor. We are all so ecstatic over the great taste and appearance. I made your homemade BBQ sauce and we added that on top. Words fall short of the oohs and ahs that were heard after devouring these burgers. Will definitely add these to the menu. Just one note. I used whole grain farro and it took much longer to cook. It tasted great but I need a clarification after checking several Internet sites. Do you cover the boiling water pot with the farro or just let the water evaporate into the air? Since mine was taking a long time, I stopped when I felt the farro was soft enough and then drained excess water away. Thanks again for a winning recipe. WOW right back at you!!! I LOVE that you LOVE my recipe and I can feel your enthusiasm all the way from my own kitchen!! Thank you so much for such a wonderful heartfelt comment!! I absolutely love the “clandestine substitute” for beef that also makes a burger stay juicy! The mini bbq burgers are for me, because I am NOT a mushroom fan! I wonder if there’s a clandestine substitute for mushrooms? Thanks for these recipes Catherine; they are wonderful. Thank you, Catherine! 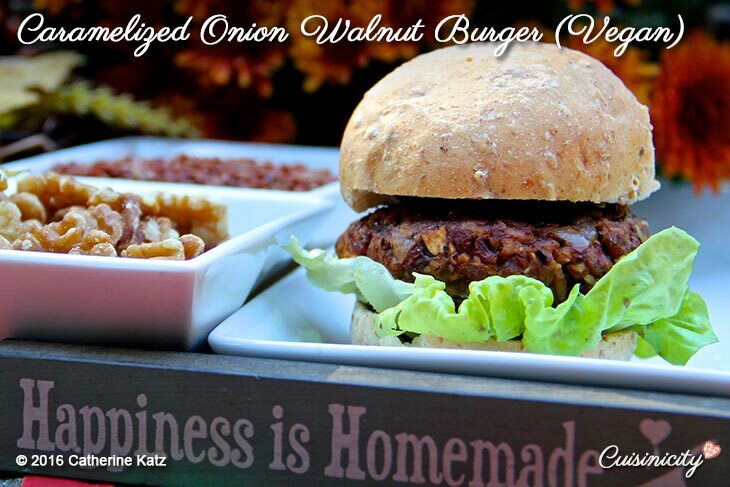 Many of us have enjoyed the quest for the “perfect” vegan burger. I am looking forward to trying your recipe. Love your enthusiasm and passion for finding foods we all enjoy, that are truly healthy for us! We don’t know what we don’t know! We’ve come a long way! Yes indeed Daniel, I love your comment!! Please let me know what you think! I featured this burger at a culinary conference last spring and it was a hit, so much so that UMass dining will be adopting it for their student body starting in the fall–very exciting, as I love “fueling” up these young bodies with nutritious food that they actually love too! 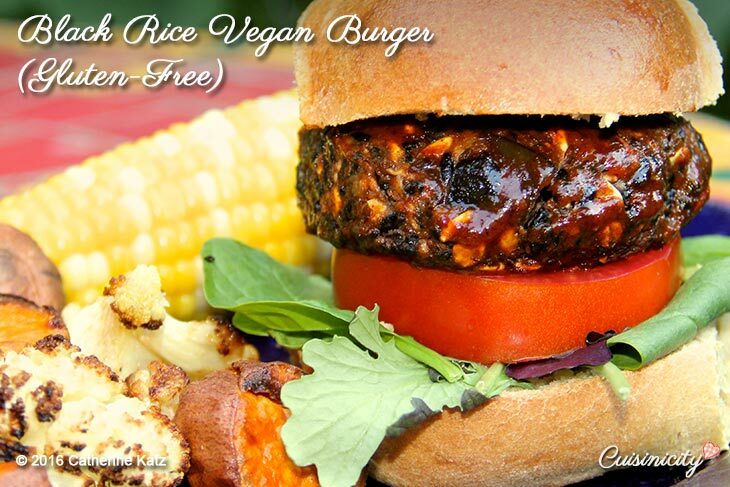 I don’t believe there is a link to the vegan burger recipe; when I click the photo, I am not taken to the recipe. Looking forward to that recipe!